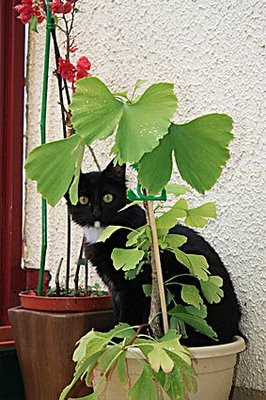 Nice cat on a balcony sitting on a pot with a Ginkgo tree. * New topic: Ginkgo and Alzheimer. 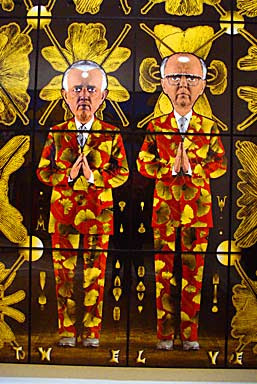 A retrospective of the work of eccentric celebrity British duo Gilbert & George made its U.S. debut at San Francisco's de Young Museum, comprising more than 80 pictures made since 1970. Included in the exhibition are selections from the Ginkgo Pictures, which was part of the exhibition that represented the United Kingdom at the 2005 Venice Biennale. Now the exhibition is at the Milwaukee Art Museum June through September 2008, and it ends its international tour at the Brooklyn Museum of Art (Brooklyn, New York) October 2008 through January 2009. View many of the Ginkgo Pictures on my Art-page. * New topic: Old Ginkgo in Kashmir in danger. * Added video: Ginkgo in China: grafting technique video. A video on Tudou.com of Ginkgo trees in fall in Caifeng, China. * New photo photospecial page: Butterfly Common Emerald (Hemithea Aestivaria) on Ginkgo leaf (photo courtesy C.J. Keppel, thanks!). 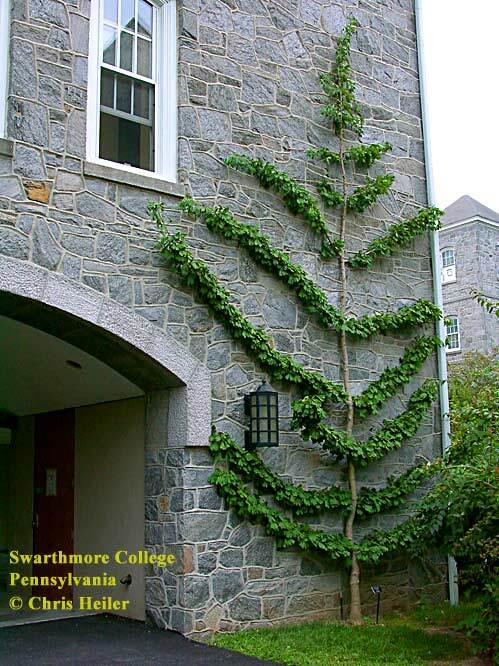 * Added (link to) photo of Ginkgo espalier (photo courtesy Chris Heiler, thanks! ): Tree-page. 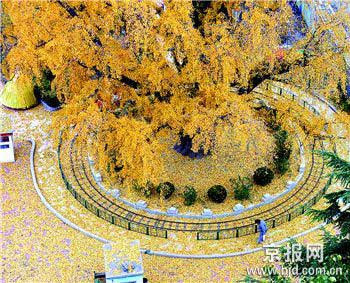 A Ginkgo tree of c. 800 years dropping its leaves in a park in Beijing (Shijingshan District), China. * New topic: Olympic Games 2008 Beijing, Ginkgo trees planted. * Added photos from readers of Ginkgo trees in Spain and Argentina. 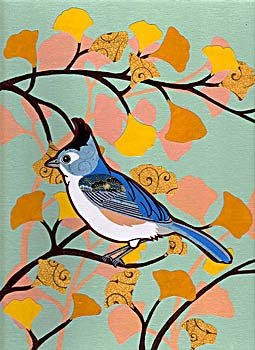 * Added video: Ginkgo poem by J.W. von Goethe. I am a new owner of two ginkgo trees (they are @ 5ft tall) and I just love them. I want to make sure I plant them correctly so we can enjoy them for a very long time. We are wanting to plant them in our planters that are 3ft tall by 14ft long and they would be in full sun. I know they are slow growers but will there be a problem of the roots breaking through the planters eventually or there being enough room for the root system to grow properly? The bottom portion of the planter is open to the ground below. Any info would be great!! Thank you. 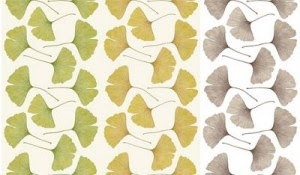 * New topic: Marimekko Ginkgo design fall 2008. * Added new photo gallery design of Ginkgo trees in the Netherlands and the USA (locations mentioned on my Where-page). The other photo-pages will follow later. Marimekko is a Finnish company particularly noted for brightly-colored printed fabrics and simple styles. In their fall 2008 collection they have designs with Ginkgo leaves. Start here to see them and read more here.